Here in MA like other Northeast States most of us have been somewhat dormant for the winter. Outside of maybe our normal every day exercise routine that is. However, now that it is getting warmer outside and the landscape is coming back to life, it is time to get outside and get into our landscape and start our gardening chores. A Lot of the movements that you will be doing while gardening are probably not part of your normal everyday exercise routine or should I say the extended period that you will be in some positions is not done everyday. So, please read below to get some helpful gardening safety tips to help keep your back and the rest of your body free from injury. So, you can enjoy your landscape and all the benefits of your hard work instead of being laid up in bed with a bad back! 1. Stretch, Stretch, Stretch!! I can’t emphasize this enough. Stretch before and after your gardening work. 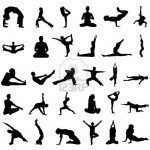 I have included some pictures above that have basic stretches if you are not familiar with regular stretching. 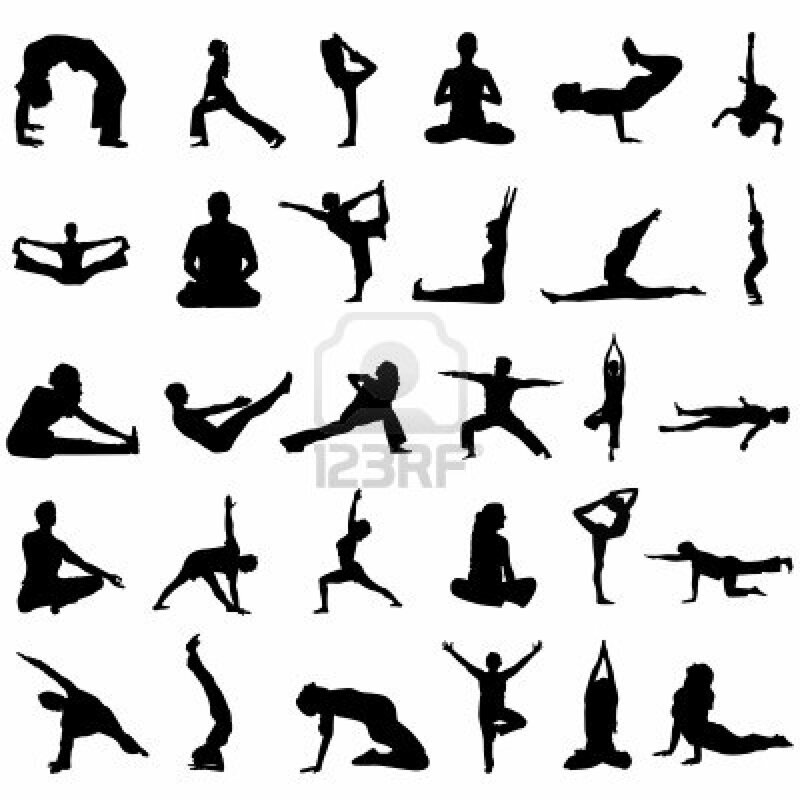 Disclaimer, I am not a physical therapist or a personal trainer but these are some of the basic stretches that I do for myself before I work in my landscape. It makes a big difference in my life and for my back! 2. Plan ahead. Make some reasonable goals and don’t try to tackle it all at once. Say you have weeding, edging, trimming, etc.. Think about how long it will take you to do each task. Plan what the most important thing to do today is and set that as your goal. If you are really good at breaking things down, you really could spend a little time each day instead of doing it all at once. 3. Pace yourself. Do the hard stuff first before you’re exhausted and would tend to overexert. Leave more effortless work for the end of your day. For example, do your digging, trimming and weeding first then at the end of the day when things are cleaned up go around with your granular fertilizers to feed your plants. 4. Help to save your back by using a wheelbarrow or garden cart when moving heavy items. Try to avoid bending at the waist and lifting. Bend those knees, hold the item as close as you can and use your legs to do the lifting instead of your back. 3. Gardening tools can also be your best friend. Make sure the tools are ergonomic and comfortable to use. Use telescopic or extended handles to eliminate any strain from reaching. 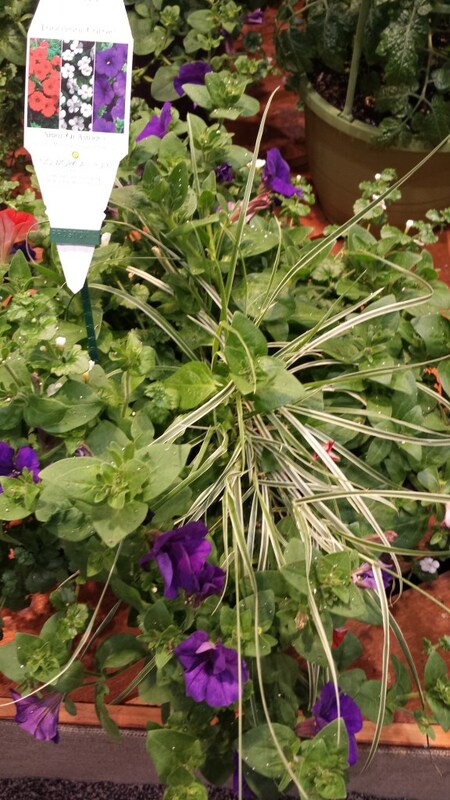 For example, watering wands are ideal for hanging baskets. 4. Keep digging and cutting tools sharp to cut down on the amount of effort you will have to put forth. 5. Use knee pads or a stool while weeding. 6. Wear gloves and long sleeves, if possible. Especially, if you have rose bushes or anything thorny to trim. Long sleeves can help save you from looking like you were in a bad animal attack afterwards. Gloves can help save your hands from getting hurt as well. These items will also give you extra protection if you don’t know what poison ivy, sumac or oak looks like and you pick it up. 7. Drink lots of water and stay hydrated. I know when I get zoned in a project, I s0metimes forget to eat and drink when I should. But, it is important to stay hydrated. Fill a water bottle before you go outside and keep it near you. That will make it easier instead of having to go in the house. 8. Put on sunscreen to protect your skin and if you are really sensitive to the sun, wear a hat and sunglasses. 9. Take breaks every so often. If you start feeling a muscle being strained, do something else for a while and then go back when you are not feeling the strain anymore. 10. When you are done, stretch, stretch, stretch!! Your body will thank you. Got the spring cleaning bug. 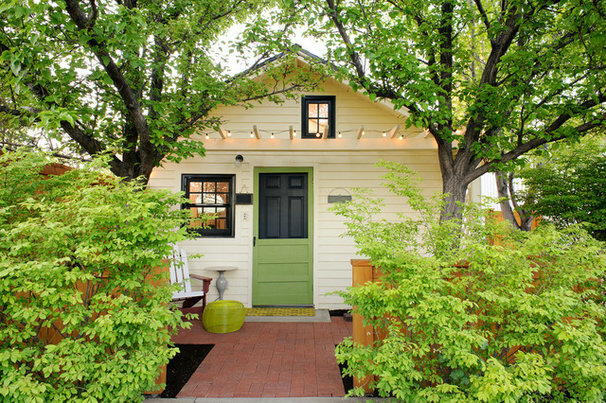 Here are some great spring landscape and home clean up tips from an article that I found on Houzz today. Happy Cleaning! After the grueling winter some regions experienced this winter, many folks are itching to get outdoors and feel a little sun this spring. 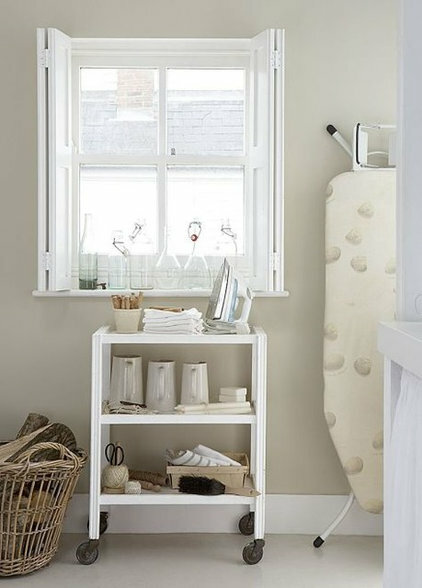 No matter where you live, answer spring’s siren call with these cleaning, freshening and gardening projects to keep your home in top shape. I would like to thank everyone that took the time to stop by our booth at the Home and Garden Show in Fall River last weekend. It was great to see so many people excited to get their yards in shape and landscape projects started this spring. Never mind great to see some live flowers! I would also like to congratulate Regina Gilbert for winning our Landscape Design Giveaway at the Show! Are you thinking of selling your home? Would you like to sell your home for more money? 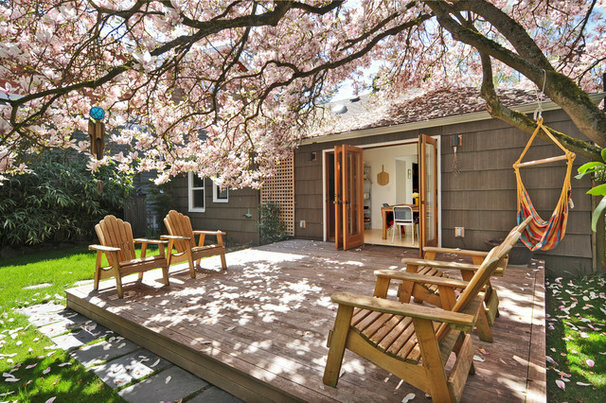 Then you may want to wow potential home buyers with their first impression by implementing some of these landscaping tips to sell your home for more money. You don’t get a second chance at a first impression. So make it a memorable one! Various studies have shown over the years, an attractive and well-maintained landscape can add as much as 10 to 15 percent to the value of your home. Also, if turnaround time in selling your home is a factor, curb appeal is important to 71 percent of homebuyers when choosing their home, according to a 2013 National Association of Realtors survey. 1. Keep it Simple- As a professional landscape designer, the number 1 priority that I hear from clients is “low maintenance”. 2. Clean it up- Going back to that 1st impression. People want to see a meticulous well-manicured landscape. 3. 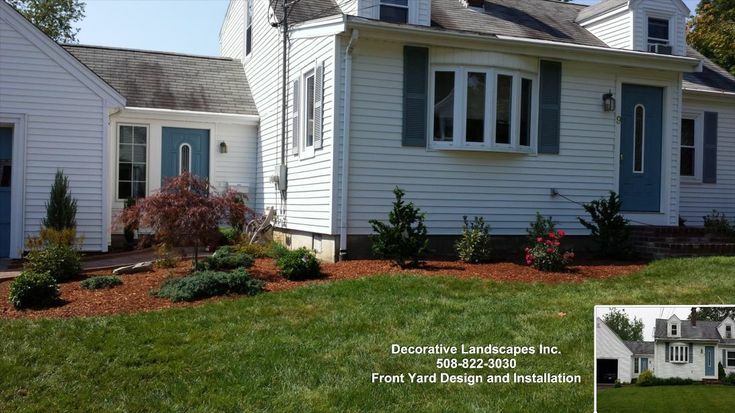 Think Color- Add some annual plants to your landscape beds if you are planning to sell your home in MA during the spring, summer or fall. 4. Another low cost enhancement is to use planters on front steps and even window boxes. 5. Focal Point- Every yard needs some sort of focal point to create that extra impact in your curb appeal, whether it’s a beautiful tree, island landscape bed or water feature. 6. 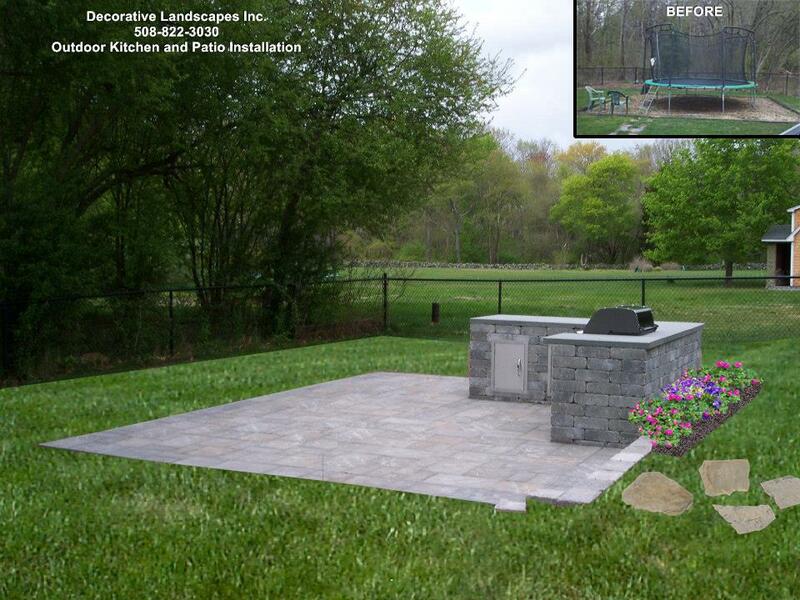 Install a patio or outdoor entertaining area- It’s a great return on investment! 7. Landscape Lighting- If you think your house may be shown at night what more dramatic 1st impression can you make than a beautiful showing of your landscape lit up at night. 8. Year round visual interest- An easy way to do this is to add some evergreen plants and to also add some plants that will produce berries. These are great effects for the winter months. 10. Don’t be extravagant in your choices! Remember you won’t be living here. For those of you that don’t know, I am also a successful Realtor with Jack Conway which truly makes me an expert on this topic. 1. 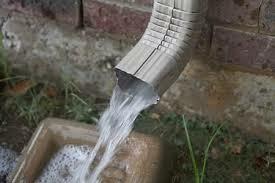 The quickest and easiest fix you can do is add a connector to your downspout drain to get the water away from the house. 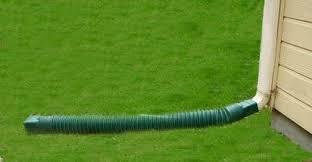 If you have a natural slope near the house get a pipe long enough to take it out to that natural sloping area. It will naturally shed the water away rather than back towards the house. It may not be the prettiest thing in the world but as a short term fix it will help aid against your basement from flooding. 2. Get the snow away from the house. Clear a path or an area away from the foundation. 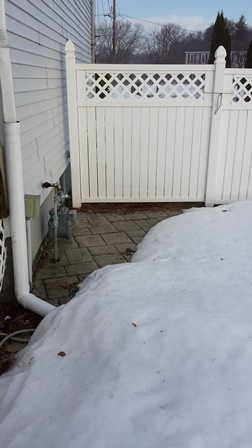 Whether you have non pervious surface areas or turf right now the ground is frozen and water will just pool until it finds somewhere to go which will be your basement if you have any cracks. So, don’t give the water any opportunity to seep in. 3. Monitor your property as the snow melts to see if you have any pooling or ponding occurring near your home. You may have to shovel another path to alleviate the water pooling to flow away from the home. 4. 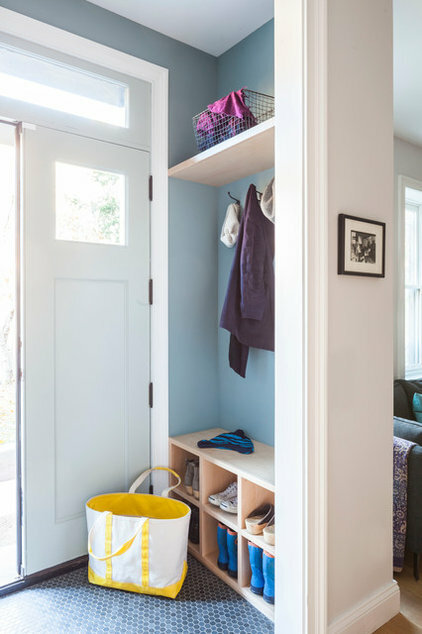 If you have a door that is at ground level and while the ground outside is still frozen, you probably want to put some sand bags or something in front of the doorway to deter the water from traveling inside. 5. As the spring progresses, if any part of your yard goes underwater, try to dig a small swale, small trench, even if it’s just a few inches deep to an area where there is lower ground to try and drain the water. Especially, if the pooling water is on an established lawn or planting bed. The lawn or plants could perish if the water sits for an extended period of time. 1. Underground Downspout Drains- Each yard brings its own set of challenges and there are different solutions for different problems. A few solutions for troublesome downspout drains are either tying the drains into an underground storage tank, subterranean drainage pit or diverting the water through underground piping to a lower area outside the yard. A qualified contractor will be able to tell you which method is right for you or if you need a completely alternate plan. Also, make sure you specify to a contractor whether the area above the piping will be bearing a load. This will make a difference in the type of pipe that is used. 2. 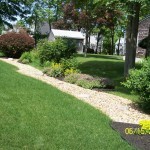 Berm’s are an alternate way to divert or deter water from entering into a specific area. Say your home is at the bottom of a slope. You may want to strategically build some berms on the outskirts of the home or behind your immediate backyard patio area or living space to stop the water as it comes down the slope and send it in an alternate direction away from the home. You will notice in the picture below an example of this. 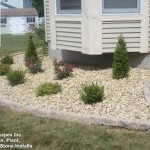 A strategically placed berm with plantings to divert water from coming down a slope and directly into the home. 3. 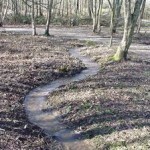 A strategically placed swale, trench, can also aid in directing water where you want it to go versus the water controlling where it goes. Swale’s can be engineered in a way that they are so slight that with a lawn on top to the naked eye you won’t even see it. 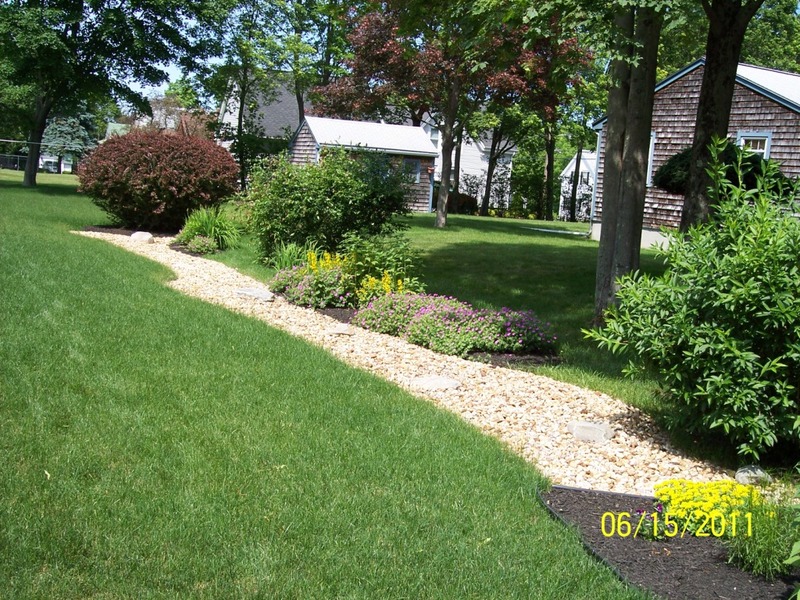 Plain natural looking swales and swales with stone are also options. However, they can be effective enough to move water where you want it to go. 4. 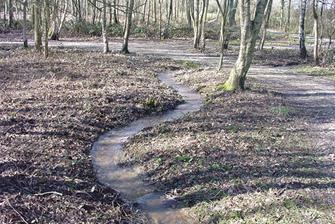 Dry River Beds are an attractive solution to many drainage problems. The dry bed can be installed with either a french drain beneath it, it can act as a holding zone for underground downspout drains in heavy rains or a multitude of drainage fixes. The end product after all the underneath drain work is done is an attractive added element to the landscape. 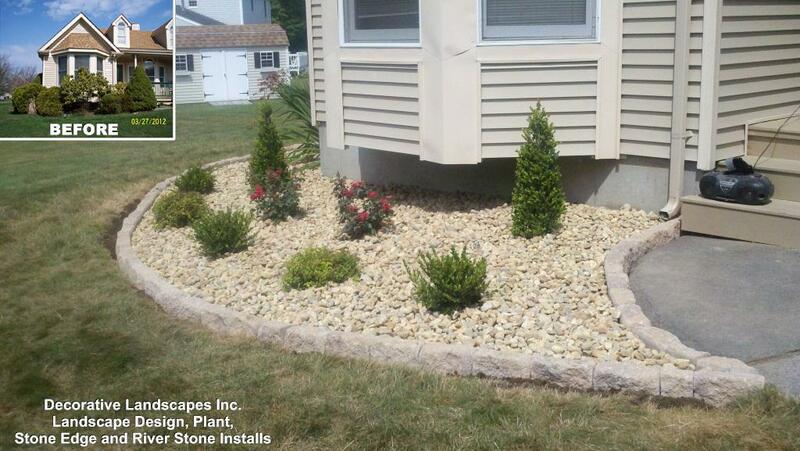 Any decorative, preferably river, stone can be added on the top to suit the homeowner’s style. The base of the bed can be a typical 3/4″ stone to save on cost. 5. 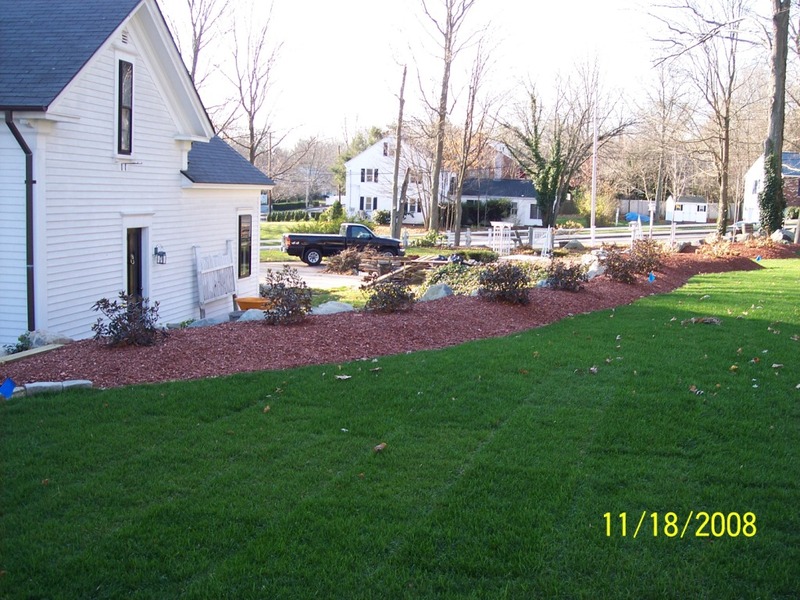 Complete Yard Regrading- If you have a yard that looks like the picture at the top of the blog, in most circumstances, you will need to regrade your yard. You will most likely need to add some material to properly grade and pitch water appropriately off the yard. Again, each individual property poses its own issues. So, it’s best to get the opinion of a “qualified” professional. Any qualified professional will have technology such as a laser to shoot grades and will truly be able to technically ensure the yard is graded appropriately. Some of the items I have mentioned above can certainly be attempted as DIY projects but keep in mind most of these tasks require an experienced professional with proper excavating equipment and laser technology to handle the task at hand like Decorative Landscapes Inc. Laser or equivalent technology is a pertinent tool in ensuring grades, drains, pipe, etc. are located correctly in the ground at the correct depth or height. A trustworthy qualified professional can also tell you what the best and most cost effective drainage solutions are for your property. Make sure you are talking to a qualified professional, ask for credentials, that has a lot of experience with drainage and excavating. Otherwise, you could end up with more problems than you have now and we wouldn’t want that! 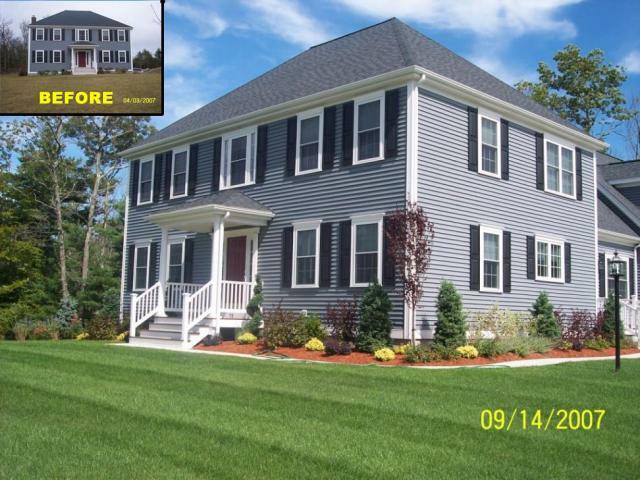 I recently came across this article from Realtor Magazine that shares the best home improvements for 2015 to increase your property value in MA. 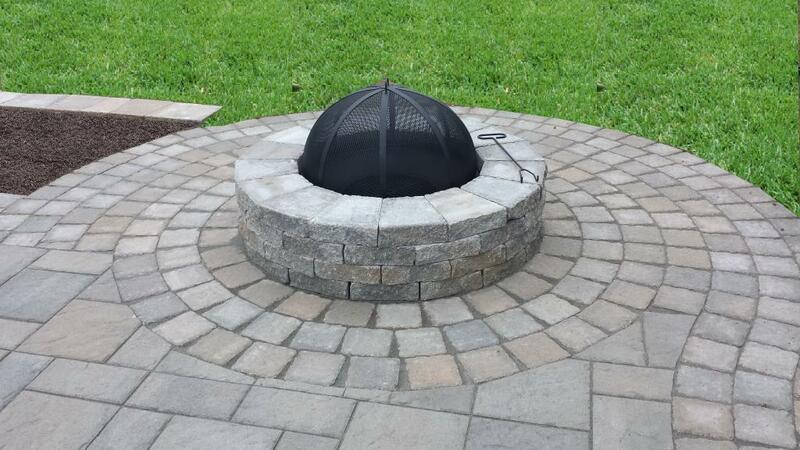 Notice #4 which is adding a fire pit to your backyard and #6 outdoor kitchens. Two of our most popular landscape items made the list for the best home improvement items to see a return on your investment should you decide to sell! Never mind the enjoyment that you will get out of it while you are living in your home. Real estate brokerage Redfin recently analyzed home features that are most desirable to potential home buyers. 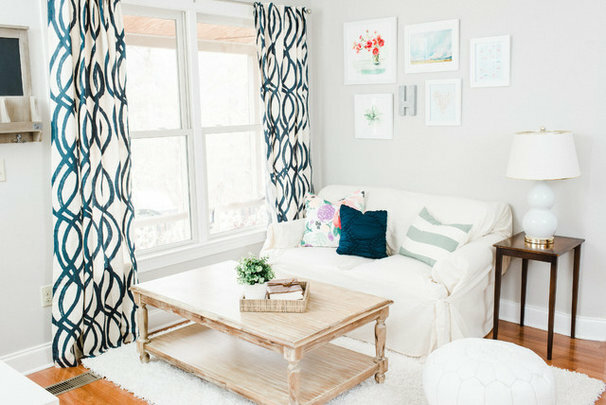 First, they asked local real estate agents to take note to what features were cropping up the most on home tours. Then they searched for those design keywords and took note of what trends experienced the most growth in popularity in the last five years. So what seven home improvements made their list of the safest bets? 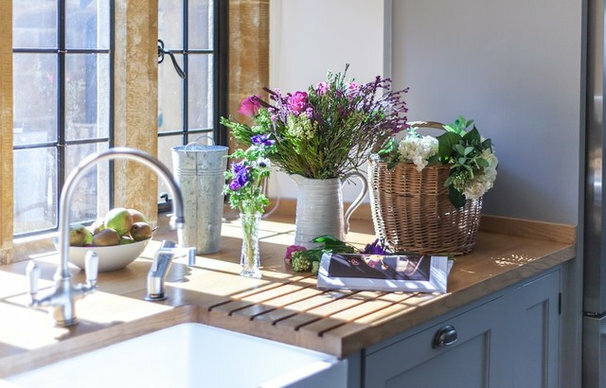 Quartz Countertops: For years it was all about the granite counters, but it appears that quartz is all the rage these days for buyers. According to Redfin, quartz has experienced a huge increase since 2012, due to its durability and overall buyer granite fatigue. Smart Homes: While Smart Home design is overall still a niche with buyers, it’s a phrase that has experienced an explosion in listing mentions since 2012. Redfin agents caution that buyers really need to choose a smart home system with the most up-to-date software since smart home technology is rapidly evolving. Stainless Steel Appliances: This trend is here to stay, and it has only increased in popularity since 2011. According to a Redfin agent, stainless steel is “the gold standard for kitchens these days” and it appears to be a very safe home improvement bet. Fire Pits: Buyers are still interested in turning their backyards into relaxing areas with multiple focal points that encourages interaction and socializing, and adding a fire pit remains a popular upgrade. Tasting Rooms: In the high-end and luxury market, the term “tasting” has slowly increased in listings over the last five years. In the past, buyers hid their wine cellars away from the main focal point of the house, but these days they’re requesting tasting rooms that are adjacent to the main socializing rooms of the house, such as the kitchen and living rooms. Freestanding Tubs: The days of the space-saving combined shower and tub are over, at least for luxury buyers. Redfin reports that the term “freestanding tub” has increased dramatically since 2011, as buyers want a bathroom that’s more reminiscent of a spa. And lastly, one trend that is seemingly on its way out? Exposed brick. 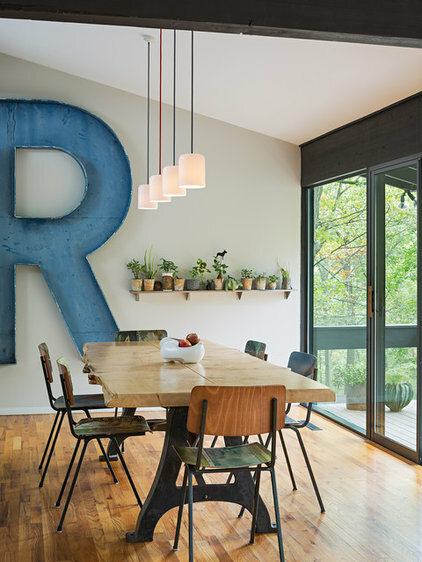 According to Redfin, mentions of exposed brick in listings peaked back in 2013, and they caution that other than loft homes, buyers’ interest in exposed brick is waning. Will spring ever bloom in MA 2015? Are we going to have one of those years that we skip right over spring and move right into summer? The way things are looking now I don’t think anyone in MA is going to get an early jump on their yard work or spring blooms won’t be out anytime soon. After just returning from a nice “warm” vacation in Florida and looking at my window to yet another snowy afternoon I can’t help but think of all the beautiful blooming plants in Florida. They are currently experiencing their spring and all the Azaleas are blooming like crazy. So, a little glimmer of hope for us is somewhere in the country they are experiencing spring and sooner or later it will have to get here, right???? 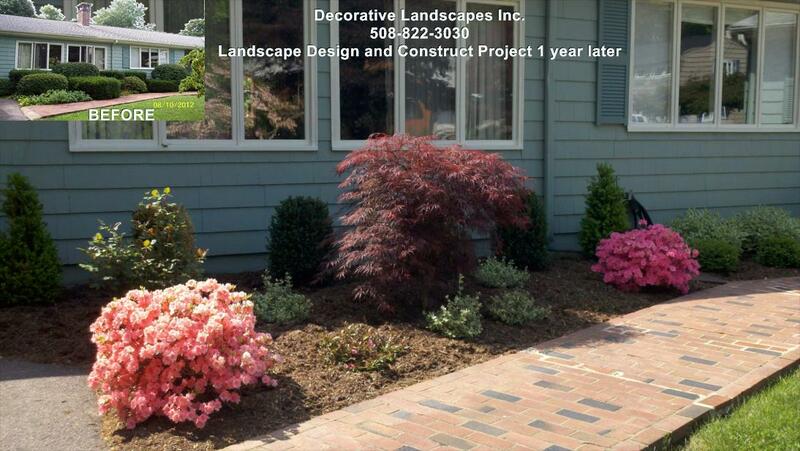 Just a little inspiration to get you through yet another snowy afternoon, here is a picture of some beautiful spring blooming Azaleas from a landscape design and installation project that we completed a few years ago here in MA. Enjoy and stay warm! 1. “Bloomstruck”- Endless Summer Hydrangea. I posted about this new variety last week but actually got to see it up close and personal. What a beauty! Has more of a purple hue if you will. 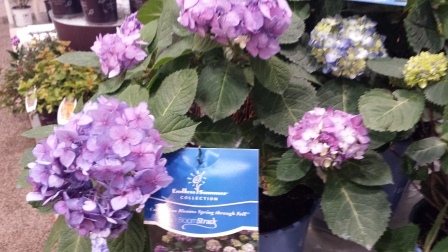 But, did share both the blue and pink values of the original Endless Summer hydrangea. 2. 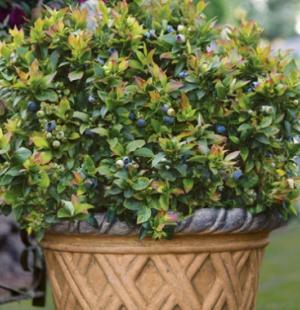 “Jelly Bean”- Dwarf blueberry bush. This little blueberry wonder is prolific – producing plentiful large, flavorful blueberries mid-summer with super sweet flavor like homemade blueberry jelly. Brilliant green new foliage emerges in spring which gives way to darker greens with red hues throughout the summer and fall. This beauty only grows 1-2 ‘tall. 3. “Peach Sorbet”- A 4 season compact Blueberry Bush. 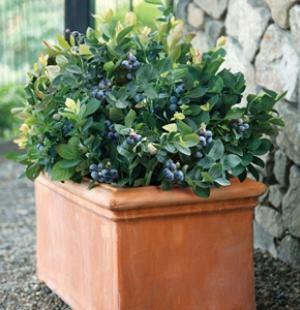 A four-season showstopper, this compact blueberry is stunning with leaves ranging from peach to pink to orange to emerald green. Spring’s white, bell-shaped flowers will give way to an abundant summer crop of healthy, sweet blueberries mid-summer. In most climates, Peach Sorbet keeps her leaves through the winter when the foliage transitions to a rich eggplant purple. Love that you get four seasons and so many different colors with this plant! 4. 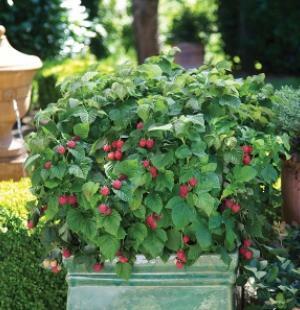 “Raspberry Shortcake”- Dwarf Raspberry Bush perfect for containers. This revolutionary, thornless raspberry is a little dwarf of a raspberry with an endearing compact growth habit that thrives in patio pots or in your landscape. This raspberry produces full-size, nutritious and super sweet raspberries mid-summer. 4. 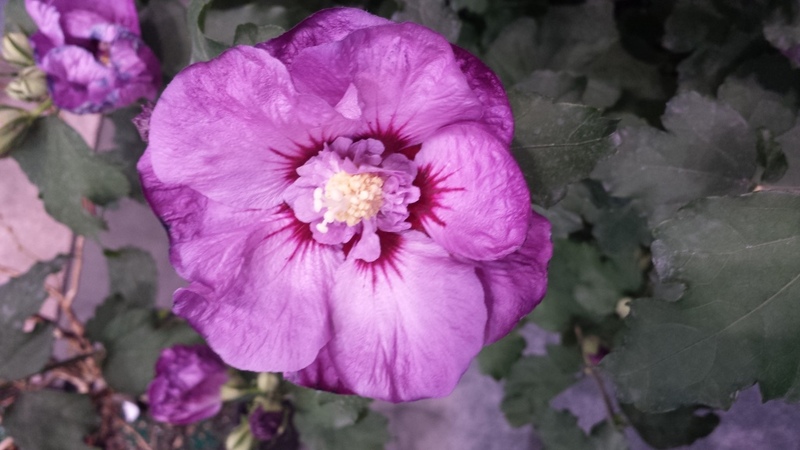 Another flower that caught my eye was this beautiful new variety of Hibiscus or Rose of Sharon! 5. Can’t wait to see this beautiful containers at our local garden centers this spring/summer. 6. 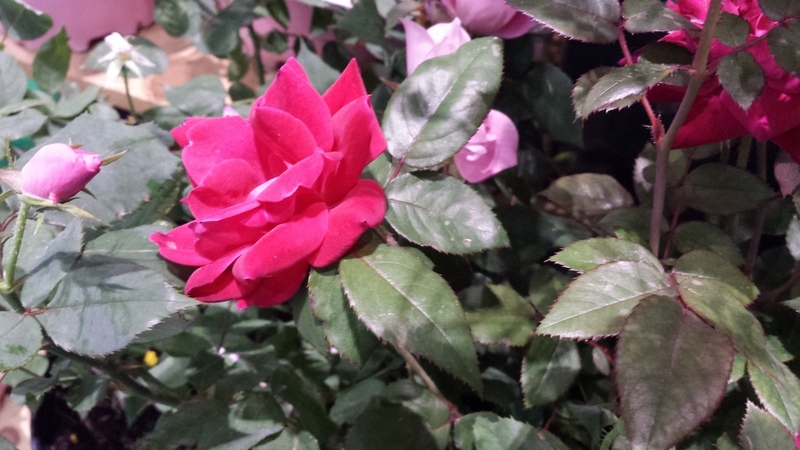 Of course I had to get a photo of one of my all time favorites the “Doube Knockout Rose”. As far as the hardscape side goes the biggest trend that I see in new design is “the natural wood look” made out of stone. Last year I saw a few companies come out with “wood looking” pavers going along with the trend that you see going on inside the home right now. Walk into any flooring store these days and you will see “stone” tile made to look like wood planking. The hardscape companies are following suit outside. 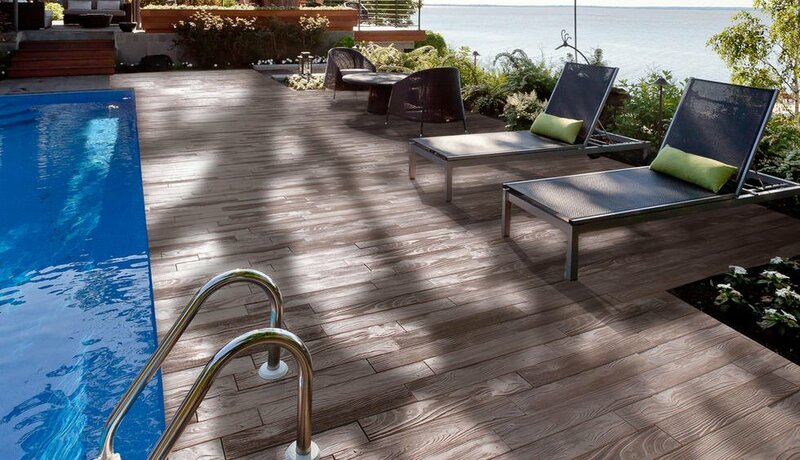 Techo-Bloc also came out with “wood planking” walls this year as well. Here are a few photos of these new products. They really have done a great job at mimicking real wood. You have to touch it to make sure it’s not real wood! 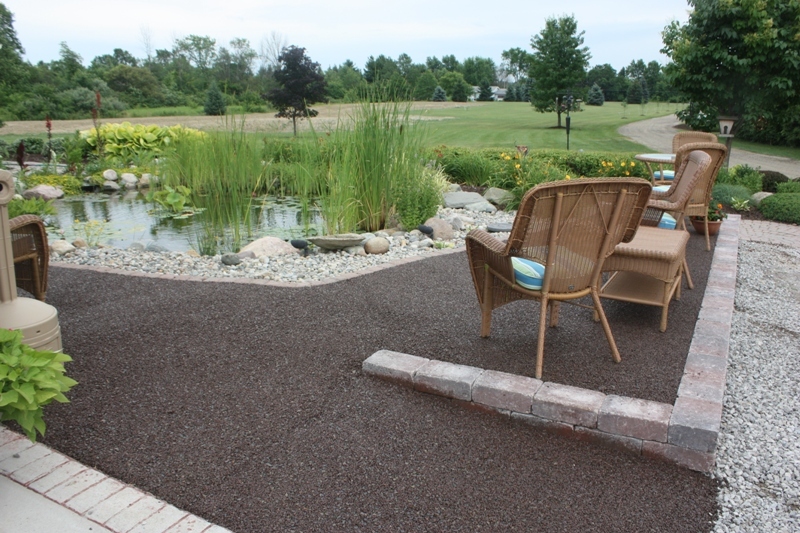 Durable – Porous Pave can be used in parking lots, driveways and other high use applications. Also resistant to snow plow damage! Super strong – installed at 2″ thick Porous Pave can handle low speed vehicle traffic, installed at 1-1/2″ thick for pathways, patios, trails and other pedestrian applications. Use at 1″ thick to over-pour existing concrete/asphalt areas. If you’d like anymore information on new products and new design ideas for 2015, please feel free to contact me anytime at kg@decorativelandscapesinc.com or 508-822-3030. 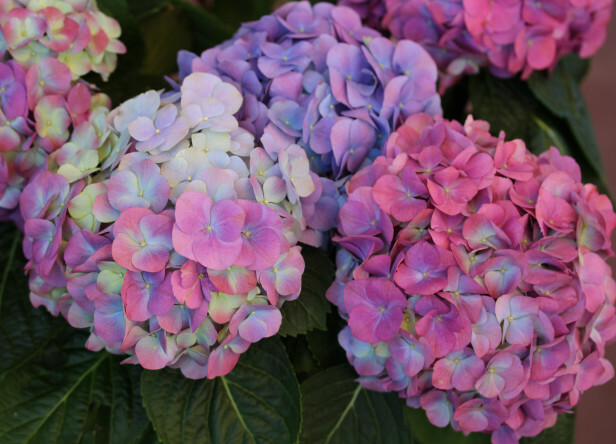 The lush blooms of hydrangea ‘L.A. Dreamin’ allow myriad shades of pink and blue to coexist on the same plant, whether you adjust the alkalinity of the soil or not. I love the fact that you don’t have to change the alkalinity of the soil and they will bloom pink and blue! May have to invest in one for my own yard this year! A stunning contrast of purple center and yellow petals distinguish this new BallFlora Plant introduction. Osteopermum ‘Blue Eyed Beauty’ blooms with early spring color and unlike many osteospermum, these blooms stay wide open. I love the color on this beauty. 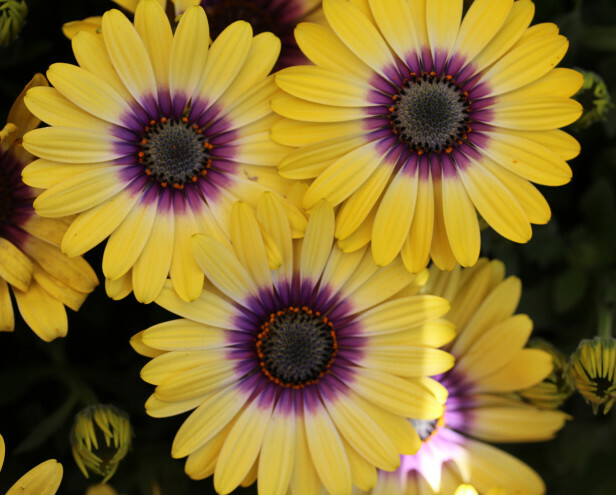 How cool is that purple center and with the yellow what beautiful contrasting colors! 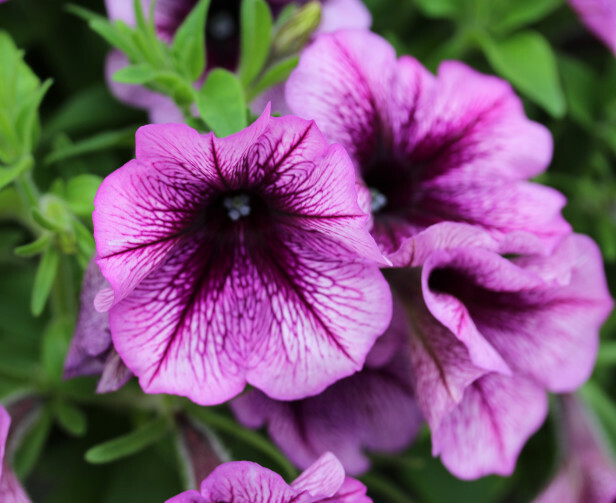 A new trailing petunia introduction from BallFlora Plants, the ‘Suncatcher Plum Blast’ petunia boasts obvious intense color, is fast-growing and early-flowering. Love the beautiful Plum color this petunia has to offer. Can’t wait to add some to my containers this summer. 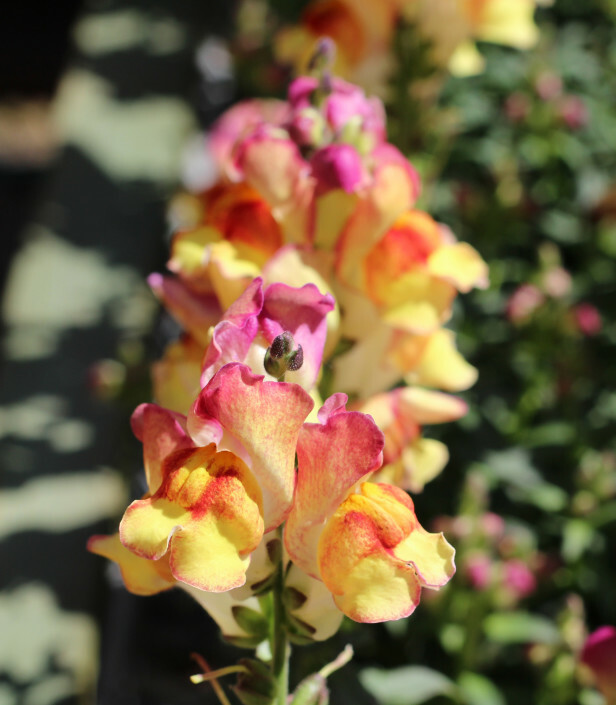 Loads of varied colors define this ‘Snapshot Sunset’ snapdragon from PanAmerican Seeds. I love the rainbow of color in this snapdragon. Sure to be an eye turner in the garden or containers. 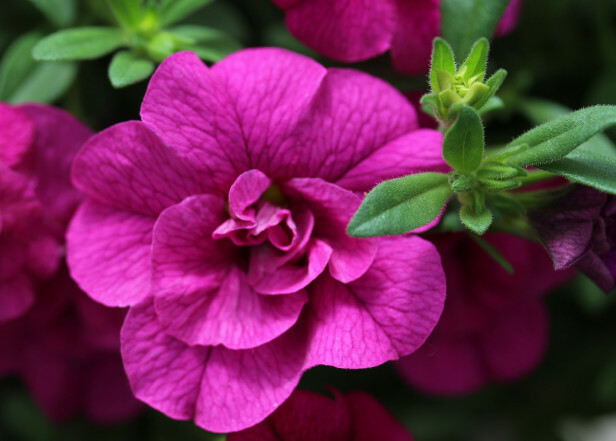 A 2015 calibrachoa introduction from Selecta, the profuse blooms on ‘Minifamous Double Purple’ speak to a customer desire for lush, rose-like blooms on plants without the rose-like high-maintenance. What’s not to love with this brilliant color and the beautiful double bloom. 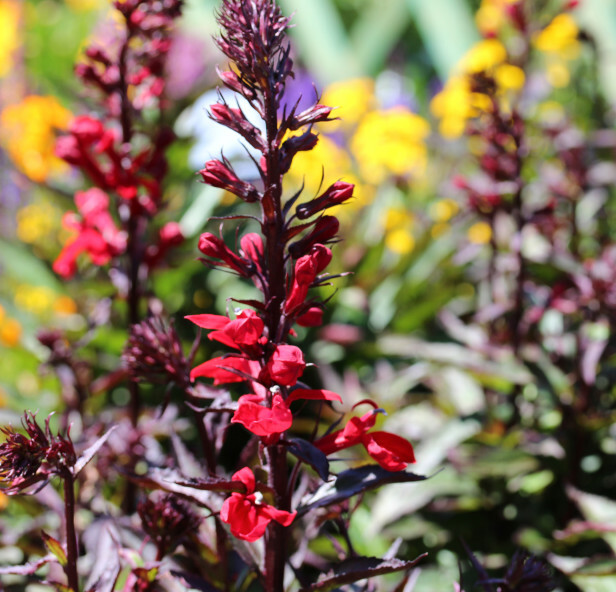 Intense color distinguishes this new lobelia variety, ‘Starship Scarlet’, hardy in zones 6-10. I love the maroon foliage on this plant. Will make a great contrast in a typical “green” foliage landscape. 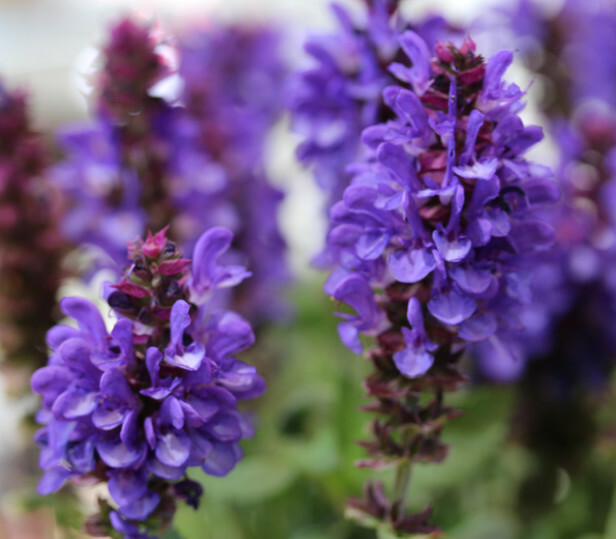 Hardy in zones 4-9, ‘Blue Marvel’ salvia, from Darwin Perennials, is all about high-impact color and profuse blooms. The mild purple color and profuse blooms are beautiful. 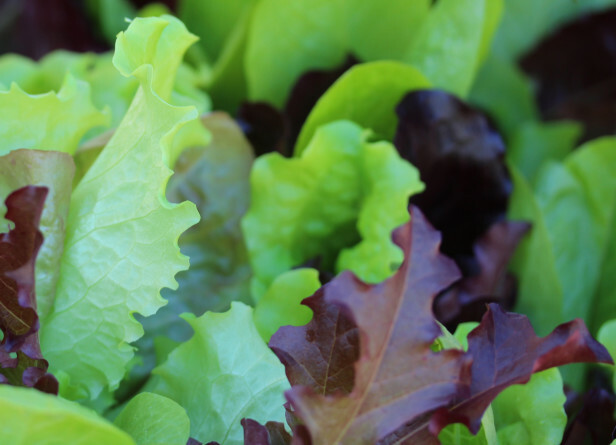 New lettuce combinations from PanAmerican Seed are tailor-made for containers, heat-tolerant and grow quickly. Even better, they allow small-space gardeners to grow curated salad mixes like ‘Endless Summer Mixture’ from one combination pellet. I love the fact that this lettuce will last longer in the hot months and will grow well in a container. What’s hot in containers in 2014 and into 2015? Edibles, and they’re not just for gardeners with sprawling backyard gardens anymore. 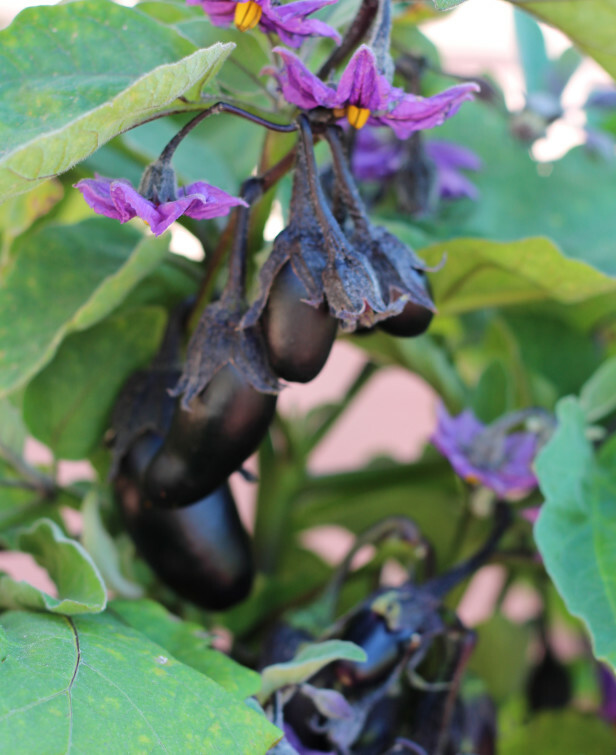 Varieties like ‘Patio Baby’ eggplant are part of a new trend in mini-edibles that work beautifully in containers. How cool would that be to grow little baby eggplants on your deck or patio. Great color too! 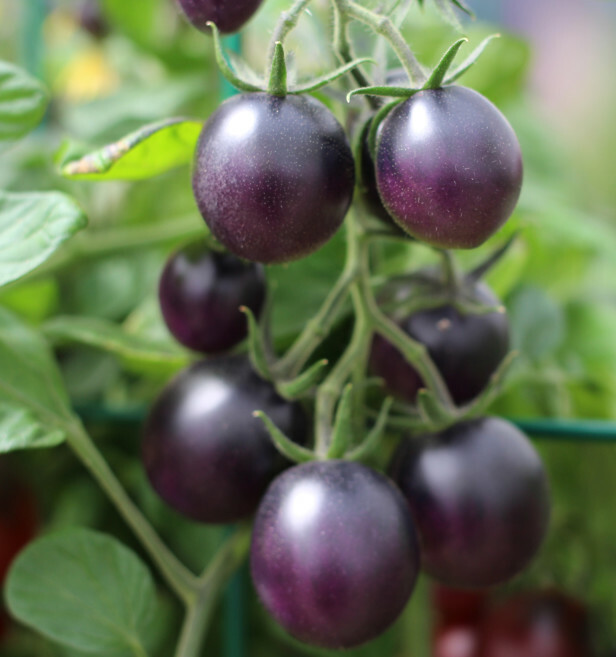 Easy to grow in containers, exotic varieties of edibles like these ‘Indigo Ruby’ tomatoes are trending in 2015 as more and more millennials embrace container gardening. I love all the new edible varieties that are coming out and what great color this will add to your outdoor space. Looks similar to the baby eggplant’s but are actually tomatoes. 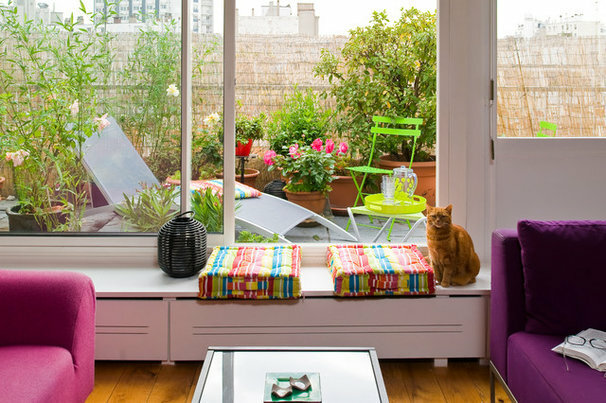 Think about all the colors you could have on your patio this summer! 1. Weed Planting Beds- Weeds continue to set seed late into the fall. To avoid weeds in the spring pull them up now. Bonus, even though some of your deciduous plants will lose their leaves and go to sleep for the winter, the surrounding planting bed will be neat and clean. 2. Clean Planting Beds- Also clean up all the leaves from falling deciduous plants to keep the bed looking fresh and clean throughout the winter season. 3. Remove leaves from the lawn- You want your lawn to be able to breathe and also not to create mold underneath all those leaves. So, in your lawns best interest remove leaves from your lawn this fall. 4. Remove Annuals and Cut Back Perennials- It’s time to remove all the dead growth on annuals that gave you so much color throughout the season. Also, it’s time to cut back perennials in preparation for next springs growth. If you do the work now, you won’t have to in the spring! 5. Water……Water- It was a very dry summer and all those evergreens need to replenish and will give them a good base going into the winter. Evergreens continue to lose moisture during the colder months and trees and shrubs with moister (but not waterlogged) soils survive better than those in drier soils. 6. Tie up or burlap tender shrubs- If you have plants like Sky Pencil Holly, Boxwoods, Emerald Green Arborvitaes or any other tender shrubs or a variety that tend to split, now is the time to either wrap them with twine or cover with burlap before we get our first major snow storm. 7. Plant Spring Bulbs- Want to help shake the winter doldrums in the early spring? 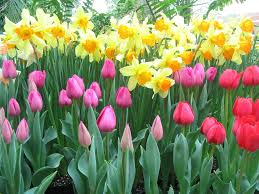 Plant some beautiful and colorful spring bulbs now before the ground freezes and reap the benefits in the spring. 8. Empty your planting pots- In preparation for next year’s plantings and also to save your pots if they are vulnerable to cracking, now is the time to empty them out and store them away for the winter. If you leave them full and they get water logged and freeze they could potentially crack and will be no good for next season. So, best to play it safe and store them away for the winter. 9. 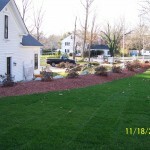 New Landscape Design Planning- Tired of your current landscaping? There is no time like the winter to start planning a new design for the spring. If you need the help of a professional, now is the best time to get help with a landscape design before you have to wait extended times in the spring. Plus, if you need the work done, you can get it scheduled early in the season instead of having to wait! 10. 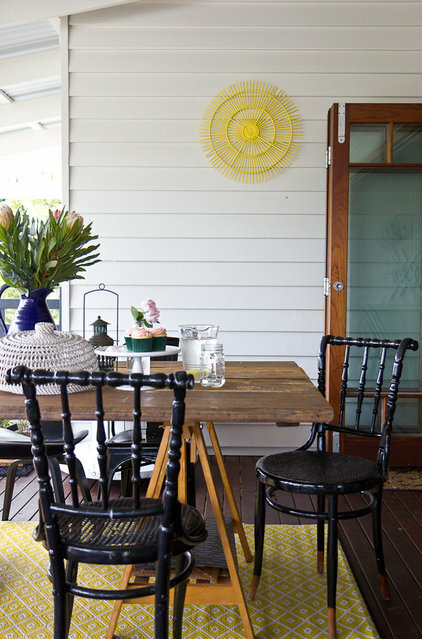 Winter Decorating- Want to add a little pop to your front steps this winter? Take a planting pot and place some Evergreen Branches, some Holly Berry Branches and maybe a colorful bow or sprigs of decorative branches in gold, silver or white and arrange them in the pot to give your front steps a nice little winter pop of color. Exciting landscape design news to share! We had another great day meeting new friends and clients at the annual Home and Garden Show in Fall River this past weekend. It was so nice to see so many people enthusiastic and excited to get their spring projects underway. Our giveaway this year was a FREE Photo Image Landscape Design and I am happy to announce that Celia Giotis is our lucky winner!! Congratulations Celia. In case you haven’t heard the official kickoff to spring is in 2 days!!! I can’t think of a year when I’ve been more excited to say good-bye to Winter!! !